Offered to the market for the first time in almost 30 years, this superb family home showcases a unique tropical vibe and a spectacular architectural redesign with superior quality craftsmanship throughout. It captures breathtaking harbour views from its elevated north facing position on a generous 622sqm approx. of land. Offering unique flexibility, the lower level has a versatile space that could be used as a home office, extra living space or fifth bedroom. Additional attributes include, outdoor BBQ terrace, swimming pool, ducted air conditioning, original ornate ceilings, secure undercover parking for 3 cars and an additional off street parking for 3 cars behind secure gates. This home offers enviable privacy, with its original sandstone façade placed behind a secure gated entrance. 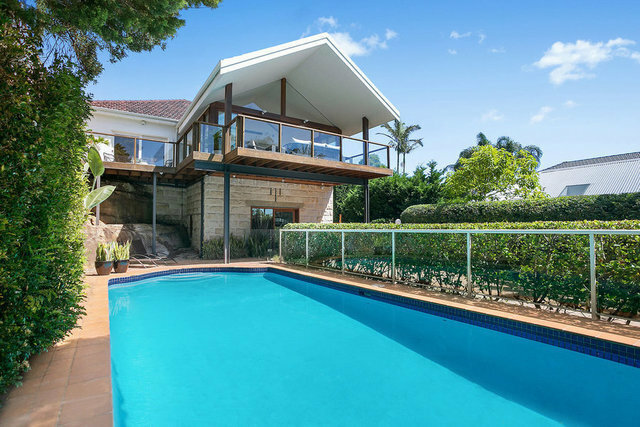 Conveniently located, close to Kutti Beach, Watsons Bay, Parsley Bay, prestigious schools, transportation, ferries, popular cafés and Harbourview Derby Street Reserve.